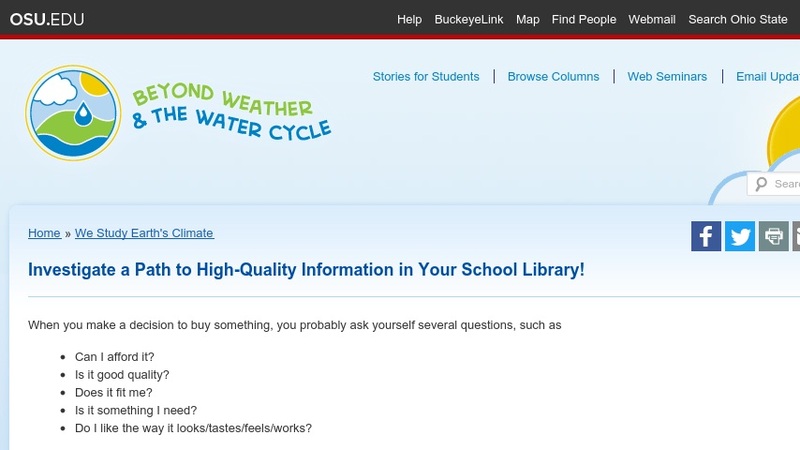 Investigate a Path to High-Quality Information in Your School Library! This article identifies tools K-5 students can use in evaluating web sites for accuracy and dependability as information sources. The author recommends working with school librarians whose professional organization calls for teaching students how to find valid information. This professional development article appears in the free, online magazine Beyond Weather and the Water Cycle, which examines the recognized essential principles of climate literacy and the climate sciences for elementary teachers and their students.